I know you want to be the best mother you can possibly be. But when you stop and really think about it, you have no idea what you’re doing! You’ve never been in charge of a newborn baby ever before in your life! 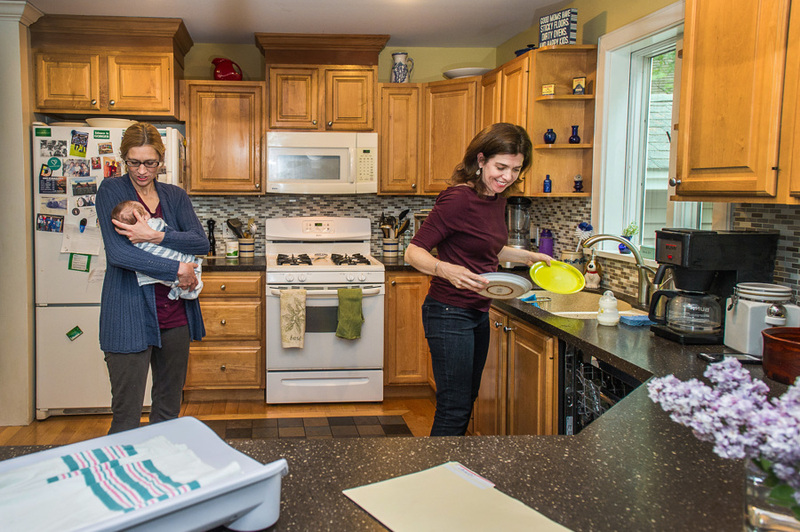 Hiring a postpartum doula helps ease this transition as you become a mother. We come to your home to provide physical, informational, mental and emotional support. Your postpartum doula answers ALL your questions (you can’t imagine how many questions you will have once your baby is actually here) by sharing with you our years of experience and evidence based information. We don’t come in with a certain parenting style or tell you how to do things, but we offer information and non-judgemental advice that personally pertains to you and your baby to help you develop your own parenting style. - Lauren, North Hampton, NH. Cares for YOU so that you can rest, recover and heal from birth. She cares for your baby so that you can nap and shower. She makes sure you are staying hydrated and brings you healthy snacks and helps with light meal preparation. Provides resources when necessary and screens for problems and makes proper referrals as needed. Listens to you as you share your thoughts and feelings during this tumultuous time of hormonal upheaval, sleep deprivation and major life change. Tackles the laundry and the dishes so that you can focus on recovering and bonding with your new baby. Each day, your postpartum doula does whatever you need to best enjoy and care for your new baby. What we do changes from day to day, as the needs of you and your family change. Read about a typical shift here. Some families choose to contact us before baby arrives to purchase a package and schedule postpartum doula support for 1 or 2 days a week for the first 6-8 weeks. Other families contact us after baby is born and find that just scheduling one or two postpartum doula visits makes a huge difference in helping mom get the rest she needs (especially when recovering from a c-section or traumatic birth) and/or to help resolve some questions around newborn care, feeding issues and mom’s mental and emotional wellbeing. The Dover Doulas are certified postpartum doulas and lactation counselors and we are here to help you ENJOY your maternity leave. Text us now at 603.988.5945 to set up a consultation!